In the 14th in a series of posts on 2014 books entered for The Story Prize, David Guterson, author of Problems with People (Alfred A. Knopf), explores the life he'd lead if he hadn't lead the life he's lead. This is hard to imagine. If it was possible to make a living at it, I would be a jack of all trades. By that I mean someone who knows a little bit about a lot of things but it is an expert on nothing, someone who solves problems in physical space not via expertise but via creativity and persistence. I would repair appliances, fix leaks, and address minor electrical problems. I’m sure this would not be particularly lucrative, so I would have to live simply. I think I would live in a one room house. I would build it myself, using passive design principles so that no heat source would be needed. There would be nothing in the house to make noise—no refrigerator, for example. I would have a brief causeway to a second structure that would house two noisemaking appliances—a washing machine and a freezer. I would hang clothes to dry. I would wash dishes by hand. I would keep a vegetable garden and preserve what it produces. I would have one point of use hot water tank for the kitchen sink and one for the shower—as long as neither made noise. If they did then a hot water tank would have to go in the outbuilding with the washing machine and freezer. I would have a wattle fence to keep animals out of my garden. Every morning before going off to my work as a jack of all trades I would read for at least an hour. I would not have a television, but I would like to be able to get on the Web. I would not travel very much, mostly because I wouldn’t be able to afford it but also because it can be such a headache. It’s nice to imagine that I would play a musical instrument, but that is wishful thinking. I would sing, though. I would watch YouTube musical performances and sing along. I would watch YouTube comedy skits, too. I would have no lights on in the house for long periods. There is a scene in one of the movies about Scrooge where he has every light off in his house and is sitting by a fire with a poker doing nothing but ruminating. We as viewers are supposed to find this depressing and fundamentally the wrong way to live, but to me it looks good. Sitting in a quiet, gently lit place while the rest of the world is dark appeals to me, as does listening to music closely. In this imaginary world where I am not a writer and therefore doing other things I most certainly would be taking naps. But then there would be other times when I would be dancing to loud music—and I mean really getting into it as a dancer in an uninhibited way. Some of my time would be passed feeling guilty about the fact that I am not doing very much at all and certainly not doing very much to improve things other than fixing a leak or getting a lamp to work for someone down the road. I would probably be preoccupied with this kind of guilt. There would be periods during which I would attempt to be disciplined about cooking, but for the most part, I would fail in this regard and take short cuts instead. With the professional writing out of the way I could do a better job remembering to write cards to people—birthdays, condolences, congratulations—assuming that so doing doesn’t defeat the letter or the spirit of the question. There would still be some writing even if I wasn’t a writer. Lists, for example. Lists of all the things I have to do and that I’m afraid I will forget to do if I don’t write them down. The things on this list would easily compensate for the writing that would now be absent from my life. My life would be composed of a thousand small tasks and errands placed end to end until I died. A great chain of necessary small things sufficient to fill my hours. Regarding refrigeration—I would have a freezer in my outbuilding in which I kept not only preserved food but also blocks of ice. I would have the job of bringing these blocks into my little domicile to cool an old-fashioned icebox. I would still be a beer drinker and an e-mailer. I like to think I would take a shower everyday but realistically, it would probably happen every other day. I want to live a long time in good health, so no matter how tired I was at night, I would at least try to floss before falling asleep. I would keep a dream journal—no, I couldn’t do that, could I, because then I would be a writer. In the 13th in a series of posts on 2014 books entered for The Story Prize, Johnny Townsend, author of Selling the City of Enoch, discusses how his fiction borrows from real life. Is it better to make up stories completely from your imagination, or is it better to use the material around you every day in the form of friends and newspapers? Personally, I think it’s best to take your ideas wherever you can find them. A coworker, Keri, once told me of her friend, a pilot, who was killed when her plane caught fire and dove straight into the ground. Keri had access to the voice recording of the flight’s last minutes. “You don’t want to hear it,” an airline official told her. “There’s a terrible scream right at the end.” Keri decided to take his advice, though I was never sure that was the correct decision. I was deeply moved by that account, but a full year passed before a story idea popped up that seemed just right to use it. I’d read an article about a Mormon bishop who disguised himself as a homeless person to test his congregation. I wanted to write about that, but it wasn’t until I added the bit about the pilot that the story came together, a tale of how much it really does matter to be with the right person in order to reach one’s full potential, and how much influence we can have on those around us to help them build the strength to make good choices in life. I met Jeff in the first grade, so we’ve known each other 47 years. We’ve been both close and distant, but in the end, I have so much history with him that there will always be a strong bond. And yet, he has repeatedly made deliberate attempts to do things that any normal person would understand are alienating and hurtful. Why would he do those things, when I know he genuinely likes me? My story, “A Life of Horror,” came out of that situation, when I finally realized he was simply protecting himself from the pain he’d learned to cope with as a child. 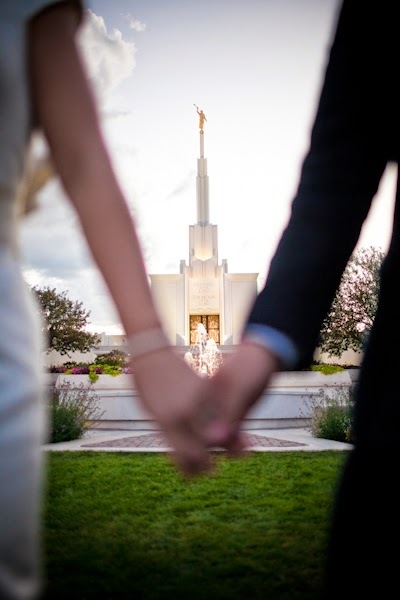 I read another article about a young Mormon couple who married in the temple, and it wasn’t until later that the husband realized his “wife” was actually a transgender, still pre-op with all his male parts. How could I not write a story about that? “Mrs. Mariposa” is also influenced by the play, “M. Butterfly.” I think it’s always best to have two or more things going on in any one story. My husband’s brother in Salt Lake has a gay son, and years ago when the son came out to his father, his father asked my husband what he should do. Gary replied, “If you don’t want to lose your son, then accept whatever partner he brings home as part of the family.” My brother-in-law seemed to make that attempt, despite being a bishop in the Church. But when gay marriage became legal in Utah and the son went to the courthouse with his partner to marry, my brother-in-law said he couldn’t make it, he had too much work to do. His son married with no other family members present. It was a lost opportunity that can never be recovered. That’s where my story, “Making Plans,” came from. Finally, a fan contacted me once and asked if we could talk. We met at a coffeehouse near my home, and after I determined he wasn’t a crackpot or murderer, I invited him back to the house to meet Gary. It turned out that this man was still an active Mormon, with a wife and children, but he was also sexually active with other men. I asked how he managed to leave his family so regularly to trick, and he replied, “Oh, I just tell my wife I’m going Home Teaching.” Home Teaching, of course, is a Mormon program where congregants visit each other to give a spiritual message and make sure the family is okay. I found his actions appalling, but I also knew that someday I’d write a story about it. So there is always an abundant source of “real” material, which I then have to make some effort to disguise so as not to offend the people I’ve based the stories on. What is satisfying is developing a story, no matter where the idea came from, that seems to take on a life of its own. 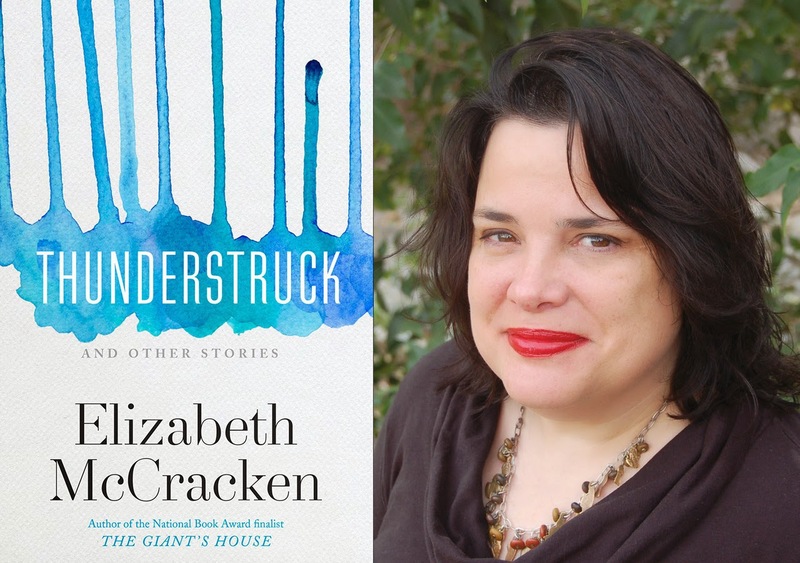 In the 12th in a series of posts on 2014 books entered for The Story Prize, Elizabeth McCracken, author of Thunderstruck (The Dial Press), discusses how and why she returned to writing short stories after more than twenty years. 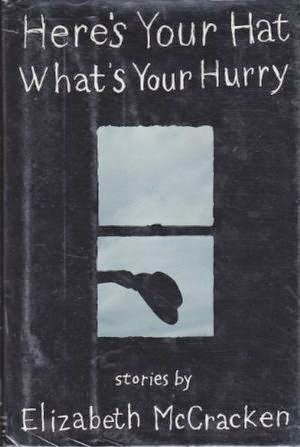 It’s been 21 years since I last published a collection of short stories. More than two decades: last century, last millennium even. Around the time I was writing stories for that long-ago book, my friend Bruce Holbert told me that he’d heard that a short story was like a passionate love affair, and a novel a long marriage. I’m a pessimist and a complainer, so I translated this into terms I understood: A short story was a blow to the solar plexus, a novel like a long lingering illness I might never recover from. Once I started writing novels, I discovered something: Novels are easier than stories, perhaps in the way that a long marriage is easier than a series of passionate love affairs. A novel, a good one, is forgiving. You can misstep, digress, dither. You can take time off. Things that bother you are not a reason to break up, as a reader or a writer. You think, True enough, I didn’t anticipate this long flashback that takes place in a terrible house in a dull town, but I’ve grown to love this novel: It can bore me a little if it wants to. As a reader, I not only forgive digressions, I love them. As a writer, I hope I’m not alone in that. So years ago, maybe 20, I decided I was done with short stories and would only write novels. To return to my own metaphor: You’re less likely to get punched in the solar plexus if you’re lying in bed with a lingering illness. Yet here we are in the 21st century, and I’ve published another collection of short stories. What happened: I wrote two novels that I threw out. By wrote, I mean finished multiple drafts over multiple years. Giving up on the first was difficult but eventually bracing; giving up on the second was something I’m not entirely sure I’m over yet. Or—to continue Bruce’s metaphor—over the past decade I went through two terrible divorces in a row and I wasn’t willing to commit to a long-term thing. I wanted to be able to jump in with both feet. I wanted to devote myself to what I was writing with my whole heart. I didn’t think I could do that with another novel, but with short stories I could, one at a time, and then I had a book’s worth. The short stories I wrote in my late 40s are different, I guess, from the stories I wrote in my early 20s, though if I were to try to guess why I might unravel my writerly brain. Speaking, as we were, of love: love is different at different times of life. My first collection was nine stories, eight first person and one (the last written) in the third. My second collection is also nine stories, seven in the third person, one in the first person plural and one in the first person singular. What does this mean? Is it age, or is it just what I was interested in at the time? I don’t believe that writers simply improve as they get older—though I hope I have in some ways. I do believe they change. There are things you can write when you’re 25 that you will never be able to write even five years later; I can’t explain it but I know it’s true. I couldn’t have written my second collection twenty years ago and I couldn’t write my first one now. Obsessions persist: falling apart houses; strange exhibitions of human beings; murder; the impossibility of knowing your parents, your children. I’m different, and I’m not different. I wrote a book. That’s the story of any writer’s life. In the 11th in a series of posts on 2014 books entered for The Story Prize, Arna Bontemps Hemenway, author of Elegy on Kinderklavier (Sarabande Books), discusses the mental process of transportation that accompanies his physical trip to work. A few years ago, in a New York Times Book Review article, the writer Douglas Coupland sought to describe a new genre of writing. These stories, he said, “cross history without being historical; they span geography without changing psychic place.” It is a literature that “collapses time and space as it seeks to generate narrative traction in the reader's mind. It inserts the contemporary reader into other locations and times, while leaving no doubt that its viewpoint is relentlessly modern and speaks entirely of our extreme present." I bring this up because it’s actually a pretty good description of my walk to my office, or rather, more specifically, the mental transportation I try to get my mind to go through while I walk to my office in order to be able to write when I get there. On weekdays (which for me are writing days), I rise very early in the morning. This is key. I get in my car and drive through the dawn or pre-dawn (depending on the time of year). The early morning is a time when the whole world is possible, or made of possibility. Reality is more liquid and fungible for me at that hour, still half-asleep; it’s easier to will another world into existence when this one has less of a purchase on you. Then I park my car, and I start to walk. I purposefully park a fair distance from wherever I’m going to write that day. It changes. Sometimes my office is my office, a room on the top floor of Baylor University’s English Department. But more often, my office for the day is out in the world, alone, preferably unnoticed, hidden in a corner of the library stacks, for instance. A window helps, especially if it’s raining. The most important part, however, is the walk. Somewhat paradoxically, I find it easiest to slip into the fever dream of my own work when my brain is nominally distracted by the work of others; the music of composer Max Richter has been good for this, but audiobooks too, especially something that feels like its heart is somewhere near where I’m aiming. Anything that can keep me transported—crossing history, collapsing time and space, inserting my own empathy and sensibility and curiosity into a reality that is not Waco, Texas, and Arna Hemenway but that is an equally real present moment—long enough to launch me back into the unsteady sea of whatever fiction I’m working on that day. This is, undeniably I think, pretty artsy-fartsy, weird, and unoriginal, at least on the surface. What news—in order to write fiction you have to be able to completely transport yourself into an entirely different time and place! But I think its simplicity as an act is part of what makes it so difficult to truly understand and practice. Because it’s not always pretty. Yes, in order to write what I write about I have to be able to leave behind the stress and fear of the quest for tenure, my dying father, my social anxiety, at times my depression, my struggles with faith, my inexplicably loneliness. But I also have to step out of the life of the person who, when he returns home from work, will get hug-tackled by my curly-haired almost three year old daughter, the person who gets to watch his beautiful wife laugh unexpectedly, the person who gets to hold his two month old baby and feel his son’s breath on his collarbone. For the morning anyway, you’re giving all that up, the good with the bad, and also taking on the world—the weight, the joy, the tragedy—of the people you’re writing about. Obvious, I guess, but elusive, and difficult. That all happens for me, if I’m lucky, on the walk. One thing I like about that Coupland description is that it hints at the unchanging authorial presence behind these transportations. Because, of course, in leaving all that stuff behind, you leave nothing behind. Travel far enough, you meet yourself—this is somehow both David Mitchell and Nietzsche. Marilynne Robinson once told me to become intimately familiar with the landscape of my obsessions, presumably in order to write well. I don’t really know what that means, but I do know that on weeks when I manage to make that walk into the otherworld every working day, I feel more alive to my own real life than on weeks when I don’t. And that’s important because I think you ultimately want your (fictional) writing to be alive to the real world in the same way. Struggle and spectacular failure are a part of it, just as they are an important part in us making sense of the narrative we daily find ourselves an organizing intelligence of. Meaningful experience, in life as in fiction, is characterized by parallax. You’re not going to ever understand more than a sliver of what you’re doing. So, most of the time, I try not to think about any of this too much. My writing habit is to walk to wherever I am going to write, to try to make something happen along the way, and hope, in the end, that it will work. In the tenth in a series of posts on 2014 books entered for The Story Prize, Deborah Levy, author of Black Vodka (Bloomsbury USA), talks about finding inspiration in paintings and in animals. The visual arts continue to be a major inspiration—so much is said with form; from the blast of Matisse and Cezanne, to the surreal narratives of Dorothea Tanning—or the intricate installations of Ilya and Emilia Kabakov who fuse everyday life with mystery and yearning. In this sense I can say that whatever the art form (theatre, film, poetry, fiction, etc), I am always onside with John Cheever who told us that short stories for him were about concepts, dreams, apprehensions, and intuition. 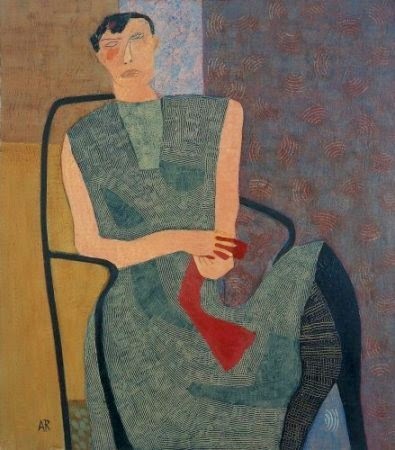 I have recently come across the engaging work of the painter Anne Rothenstein. I am intrigued by her preoccupied and fierce sculptural female figures. I make up all sorts of stories for them but I know they don’t really need me to do this. I was a Fellow at the Royal College of Art in London, where I taught writing. I always admired the imagination, courage, and essential obstinacy of my students. What I like is that if you are a visual artist and you take no risks at all, you are nothing, you are irrelevant—you might as well just chalk up imitations of old masters on the side walk and hope a few kind people throw coins in to your upturned hat. It would be exciting if this kind of daring and curiosity were valued in mainstream literature too. Is it possible that we are only now becoming contemporaries of James Joyce? Does it matter? These are genuine questions. I am interested in human consciousness and how we express it. I always want to be entertained enough by any sort of art to look more closely at the world. I am also inspired by the beauty and mystery of animals, these amazingly designed creatures with whom we share our planet; their eyes and breath and how we communicate with them. I admit I like the furry ones best and don’t mind at all on vacation when the street cats in Greece sit on my feet in a taverna on the beach. In the ninth in a series of posts on 2014 books entered for The Story Prize, Doretta Lau, author of How Does a Single Blade of Grass Thank the Sun? (Nightwood Editions), discusses how she works and where she finds inspiration. When I was four, I wanted to be a baseball player. Even then I had a tenuous grasp on reality. I never thought of it as a career path reserved for men. Last week, a friend asked me what other profession I'd want to have, and I said I'd like to write for television because I watch so much TV. I may as well put my expertise to good use. He said, that's still writing. I said, I guess so. I like inventing characters, so I imagine in some alternate reality I'm an actor. For my story collection, How Does a Single Blade of Grass Thank the Sun?, I created a file detailing the birthdates of my characters in order to determine the corresponding zodiac signs in both western and Chinese astrology. For a complicated story that didn't make it into the collection, I mapped out ten mixtapes that were made in the world of that narrative over ten years and listened to them while writing. There's also an unfinished story on my laptop that's accompanied by a tarot card spread. 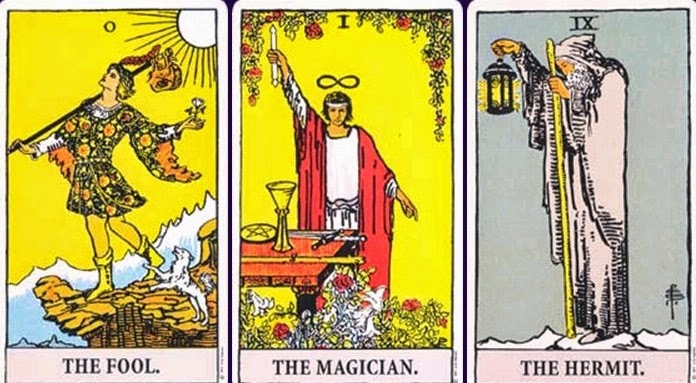 As I was completing my book, I consulted a friend who does tarot readings to determine whether to deliver a story collection to my publisher or to rewrite the manuscript as a novel. She told me that I was asking the wrong question and that instead I should focus on themes. For a while every morning while I was doing rewrites, I stared at an index card where I'd written, "Choose a theme. Like a cut." Real life is too good not to mine for fiction, but I'm not the kind of writer who recreates a situation in its entirety. I tend to distill funny moments and rework them to best serve the story. I prefer invention to reportage. I don't think there are bad ideas in fiction, only poor execution. For months, I was working on a zombie apocalypse story set at a conference at Witte de With Center for Contemporary Art, but none of the sentences functioned to my satisfaction. In the story, the pathogen is spread by ideas, so the attendees of the conference are putting themselves at risk by convening to share knowledge. Meanwhile, there is a whole movement of people pushing for immunization against ideas, which creates a whole new set of problems. "Love and Honour and Pity and Pride and Compassion and Sacrifice" by Nam Le. It touches on all the issues I struggle with when writing fiction, while delving into powerful emotional terrain. The final paragraph kills me. At home, wherever that may be at the moment. I'm writing this at a desk in a room I've rented for a month in Toronto, where I'm conducting research for my next book. I like being able to do laundry and clean the bathroom between blocks of work. In grad school I wrote a lot sitting or lying in bed, but that caused terrible insomnia. I used to fret about this quite a bit to the point of fear and exhaustion, but now I go for a walk or a run or I read a short story. I find it helps if I can't figure out a language puzzle in my own work to see how other people have approached and defeated a similar problem. It took me ten years to finish and publish my book. If a career in writing is something you want, you just have to write and pile up the rejections until the acceptances come. Also, read as much as possible and buy books by contemporary authors. I think of writing as a conversation with other writers. I guess it boils down to: Do the work. Music, art and film figure greatly into my landscape. Lately, I've been writing to White Lung's Deep Fantasy, The-Dream's Royalty: The Prequel, and Tanya Tagaq's Animism. I'm thinking about Theodore Wan's art because he's a character in a story I'm working on right now. Bette Davis, Bruce Lee, Oscar Wilde, and David Maysles also appear in this narrative. I really liked Bruce LaBruce's film Gerontophilia; I found it so emotionally satisfying, while being funny and strange. In the eighth in a series of posts on 2014 books entered for The Story Prize, Kelly Cherry, author of A Kind of Dream (Terrace Books), discusses her interest in linked stories. My first husband borrowed something I'd written and showed it to his friend. "Is she," he asked the friend, "talented enough for me to marry her?" As you might guess, the marriage didn't last, and when it ended, I felt I had lost five years of writing time (the marriage plus recovering from the divorce). I published a first book of poems with a small press and a first novel with Viking. Then I found myself thinking about what else I wanted to write. I made a list. I thought of it as my bookshelf. Not every book title I had on that list came to fruition, and editors changed a few of my titles despite my protests. But in between writing books on the list, other titles revealed themselves, as if they'd been lying behind some other book on the shelf. This was not compulsive. I never felt I couldn't make room for another book, and at least twice I had to acknowledge that a book had failed, or, rather, I had failed the book, and I dumped it. But I had a lot of ideas. They are all around us, you know. All you have to do is reach up for one and it drops into your hand. Publishers are not so plentiful and after a while, I no longer had an agent, so I couldn't submit to the big houses. My work was better, but I was older, which meant, to publishers, not new. Instead of novels, I took to writing linked stories, or novels-in-stories, a form I love. I've written a trilogy of linked stories. I call it "A Divine Comedy," which is what the ex-wife of a main character says when she describes the off-Broadway play she has written about him. "It's such a divine comedy!" she chirps. To some degree, writing linked stories is like making a collage. Pieces need to be usefully shaped and carefully placed. It is also, and more, like orchestrating a symphony, as is a novel: Characters and events need to enter and leave quite like various instruments or instrumental sections. 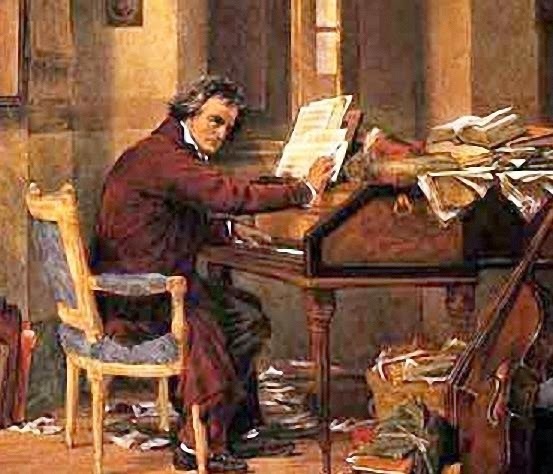 The biggest influence on my work is not a literary figure, although there are a number of literary figures, past and present, who have influenced me or sent me in this direction or that; it is Beethoven, especially in his late string quartets and piano sonatas. I feel I've learned a great deal from him, and if I'm not Beethoven, it's not Beethoven's fault. My second husband (much nicer than the first!) and I recently discussed what books might have been within our compass to write if only we'd thought of them before their authors did, if only we were capable of writing them: what books we'd read that we felt closest to and, maybe, almost able to write. I chose The Magic Mountain and Grace Paley's stories. Where stories are concerned, on another day I might have picked "A Still Moment" by Eudora Welty or Chekhov's "The Kiss." I suggested Heart of Darkness for him, and he smiled. About stories I want to say this: The wonderful fictionist Fred Busch may have been correct when he said that short stories are about death; that is, about their endings. Lorrie Moore may be right when she says the ending of a story should subvert what came before. Russian absurdists may have been right when they dreamed up preposterous, and often hilarious, plots. But I think Fred Busch wrote the endings that came to him. I think Moore has looked at her work and noticed that she tends to subvert the beginnings of them. And I think Russian absurdists knew very well what it was like to live under an absurd regime. The doing comes first, theory after. Never trust a theory too far. What counts is the doing. As for what I hope to do? I hope to complete my bookshelf. There are at least two more books of short stories on it. In the seventh in a series of posts on 2014 books entered for The Story Prize, John Henry Fleming, author of Songs for the Deaf (Burrow Press), suggests writing both for a potential audience of aliens and for oneself. Writing tips are like fresh raspberries—so beautiful and enticing on the grocery store shelf, so moldy the next day. That’s my experience anyway. Still, they can give you a way of thinking about your work, a charge that gets you from one synapse to the next and keeps the words flowing. I offer advice in that spirit, hoping you’ll refute every statement with your own stories. Write like it’s true. Even when you’re faking it and have no idea what you’re talking about, pick out the one or two things that are true and make the story about those things. If you’re playing around, write like playing around is important to you. If you pull it off, playing around will be important to the reader, too. Write jagged. If things are interesting enough, the reader will make connections and supply meanings for you. If things aren’t interesting enough, no amount of explaining will fix that. Still, it’s best to keep the story under the frustration curve, best pictured as the arc of a book as it flies across the room toward the garbage can. Write like your story will be the only one to survive the apocalypse. Your small post-apocalyptic audience will want to know what things were like. And don’t assume they aren’t aliens. Write like no one cares what you write. Be honest, it’s not such a stretch. The truth is, most people don’t care what you write, probably even most of the people you know. That fact is depressing only if you’re writing for the wrong reasons. If you’re writing for the right reasons, it’s liberating. Just write. Forget everything else. The antidote to not writing is to write. The antidote to not feeling inspired is not expecting to. Stop repeating yourself. Try new things—new forms, new character types, new styles and tones. You’re never going to do that one thing perfectly, so stop trying and move on. Don’t be afraid to smash up your story and assemble something new from the pieces. Don’t ever forget that you’re writing for an audience, but think of yourself the first member of that audience; write things you want to read. Write each work like it’s your last. It could be; you never know. Above all, be interesting. Henry James said so, and he was right.